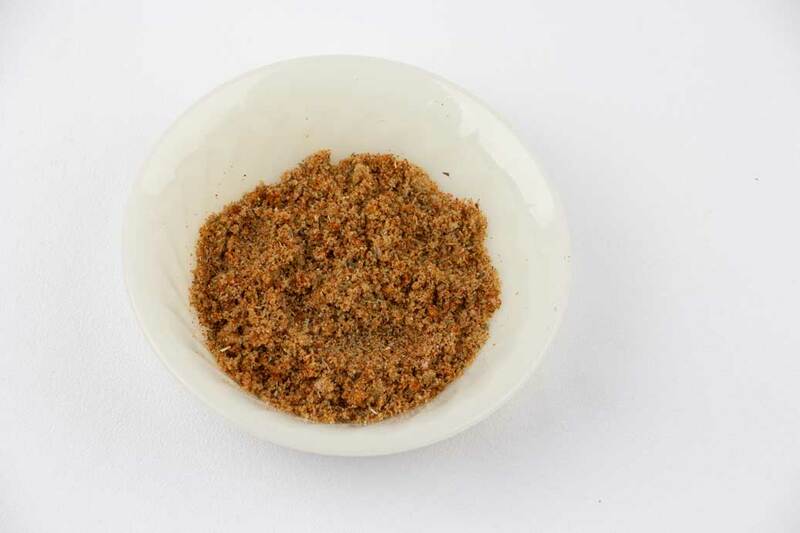 Combine all spices. 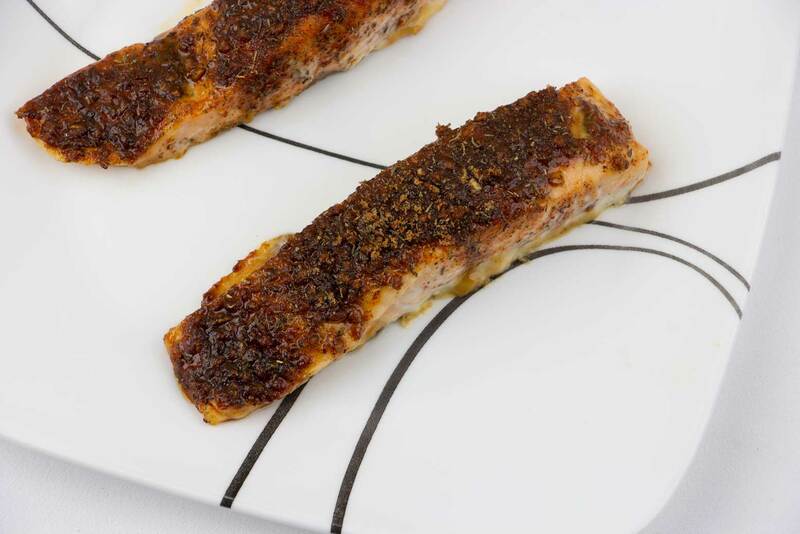 Brush each salmon filet with olive oil and rub with spice mixture. 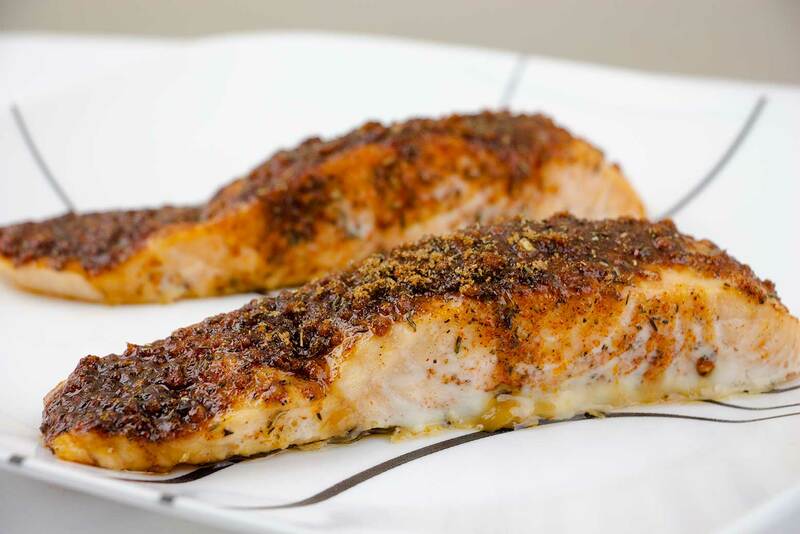 Bake salmon, skin side down for approximately 18 minutes, or until filet is easily flaked with a fork. Serve immediately. 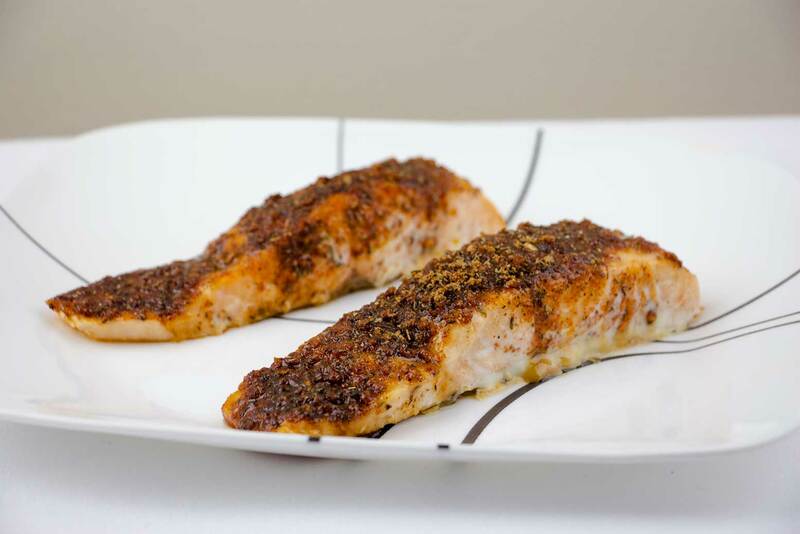 Brush the tops and sides of each salmon fillet with oil and pat evenly with spice mixture. 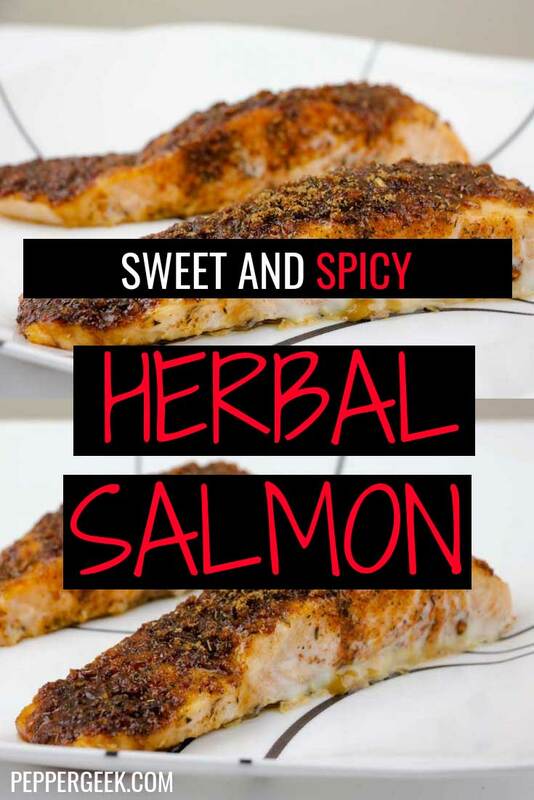 This will bake into a delicious crust.